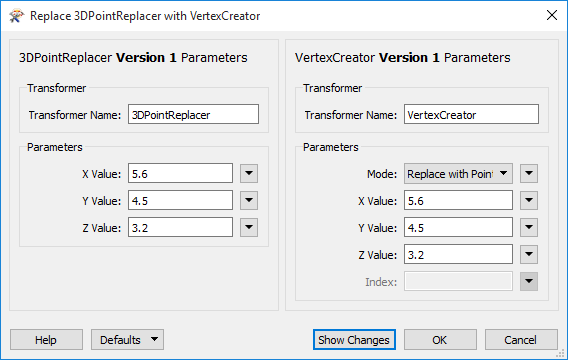 In this example, the version of this AttributeRenamer transformer is 1. 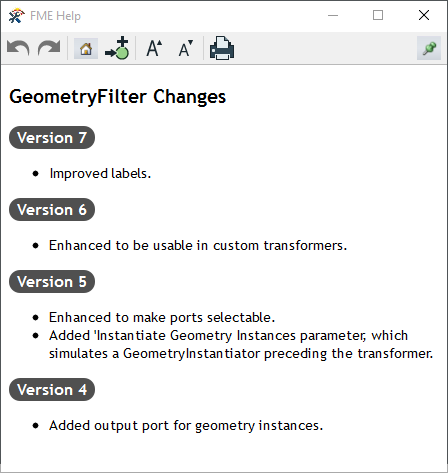 The current version of the AttributeRenamer transformer, in this installation of FME Desktop, is 4. That is, if you were to add a new AttributeRenamer to a workspace, it would be version 4.